I’m not even sure where to start with these two, from our first phone call it was safe to say it was an instant connection. The type of certainty that you get when you meet someone and become fast friends and know that things click. That was the case with Lizz + Andrew - after our ridiculously long engagement session, mainly due to good conversation, I was beyond excited to photograph their wedding. Married at Villa Filomena, Lizz + Andrew tied the knot in front of their closest family and friends and spent night drinking + dancing to single handedly the best wedding music ever. I truly couldn’t have asked for a better day and when I imagine a good wedding, I think of theirs. The amount of effort + attention to detail they incorporated was amazing. 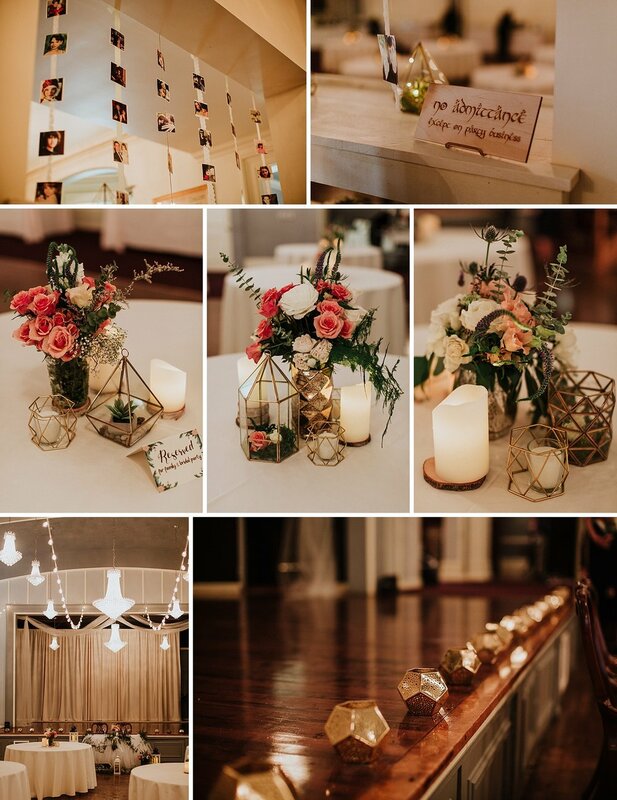 From hand drawn invitations, shopping small for jewelry, eco friendly diamonds, childhood photos and personal mementos for decoration, using Lord of The Rings music for their ceremony, tons of food variety options, and keeping things true to themselves - it was nothing short of magical. On top of the details of their day holding significance, they really gave me the creative freedom to pick locations and trusted my process. 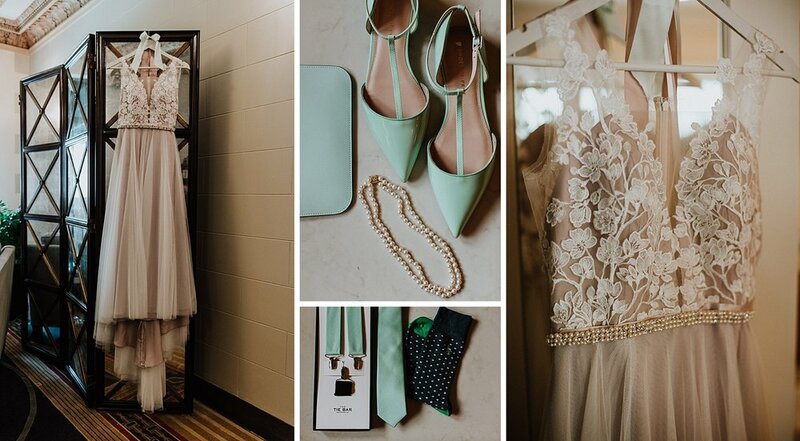 We started at the The Plaza, did a first look at Lake Park, strolled along the lake and then headed to the venue for bridal party photos + family formals. The ceremony took place on Villa Filomena’s Ivy covered terrace, followed by mingling and stationed dinner. Friends + Family gave heartfelt speeches and they shared first dances. We ran away at sunset for a secret little rooftop session and we finished the night dancing and celebrating and I never wanted to leave. I still feel grateful. The Dworaks’ my friends, truly a pair for the books. Being from Chicago- Lizz + Andrew turned to Married In Milwaukee for an amazing lineup of vendors that truly made their day so special. DJ/Band: Sound by Design - They truly shined for this event. Lizz + Andrew had a very specific playlist and genres of music they wanted to hear and Sound by Design did an amazing job accommodating that. 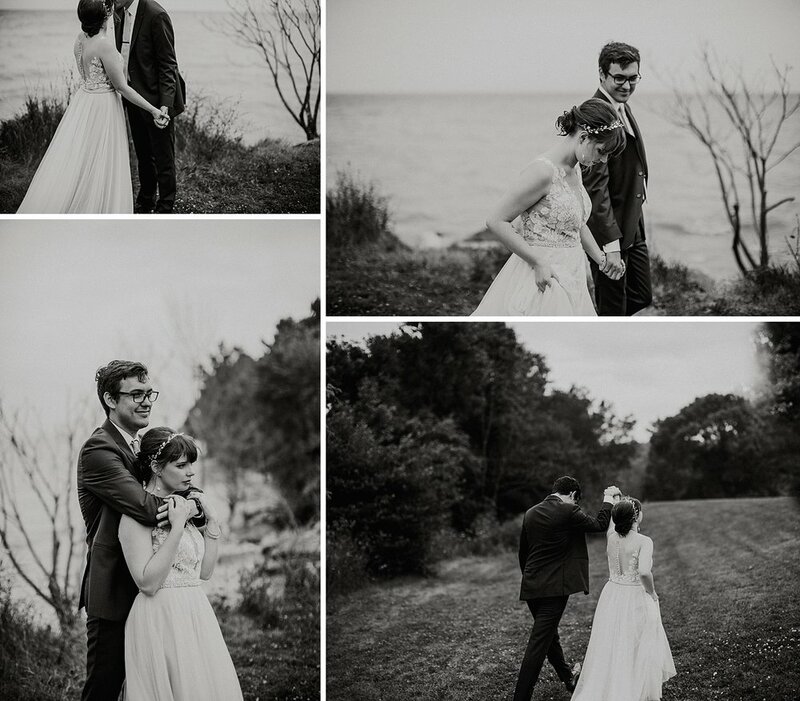 For a full cost breakdown and all the details from their day, check out this feature on Married In Milwaukee!